The winners of the Freedom 2 Write poetry competition received their prizes at the Montserrat Arts Council (MAC) office today. 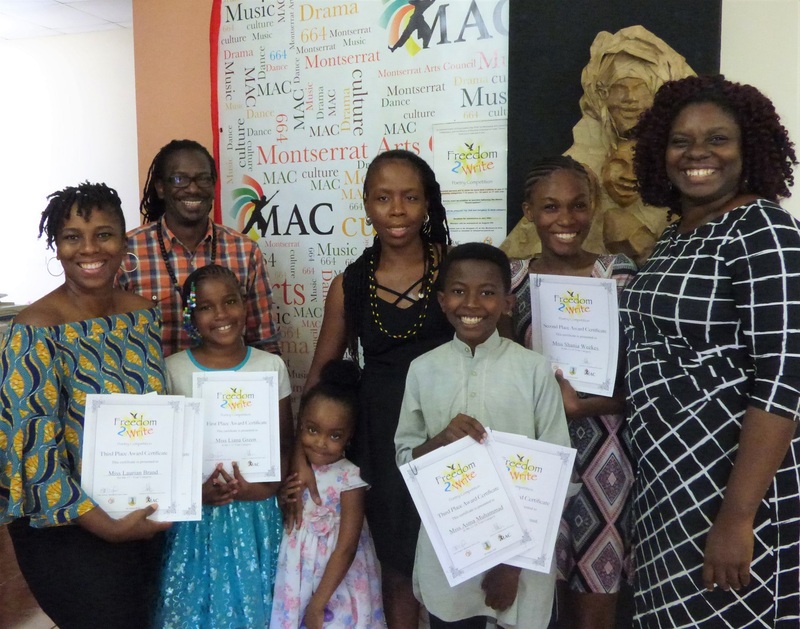 The competition was a collaboration between the MAC and the Montserrat Public Library. Both MAC Director Chadd Cumberbatch and Librarian Sonja Smith expressed their gratitude to the participants and congratulated them on their winning pieces. Cumberbatch said they plan to repeat the competition in 2019, adding that a poetry writing workshop will be organised to help the aspiring poets grow in their craft. Winners of the Freedom 2 Write Poetry Competition with Director of the Montserrat Arts Council Chadd Cumberbatch and Librarian Sonja Smith.